Swansea City are reportedly eyeing a January move for Ayr Utd’s Lawrence Shankland, as boss Graham Potter looks to guide a play-off push back on track by boosting the Swans’ strikeforce. Three consecutive league defeats have seen Swansea’s promising start to the season derailed and Potter’s men now lie 13th in the Championship ahead of this Saturday’s trip to Brentford. The Jacks appear value for money at a best-priced 27/10 across some of the best betting apps to get back to winning ways in London, but bookmakers are now far less confident of Premier League football returning to the Liberty Stadium next season. Swansea are currently as far as 33/1 with bookie bet65 to achieve promotion. Having found the net 22 times in 20 league matches, Swansea are the joint-lowest scorers among the Championship’s top 18 sides. There is room for improvement at the top end of the pitch therefore. And that’s where Shankland’s firepower can hopefully make a difference. The 23-year-old Scotsman has been prolific for Ayr so far this term, scoring 26 goals in 23 appearances this season. Last weekend, he bagged four in a 5-0 thrashing of Dundee United. Ayr are flying high at the top of the Ladbrokes Scottish Championship, two points ahead of odds-on favourites Ross County and 9/4 says that they will be there come the end of the season. If Ayr do achieve promotion to the Scottish Premiership, then it will be largely down to Shankland’s goalscoring exploits so it’s understandable that the club want to keep their key man at Somerset Park. Yet a move in the January window is seen as a realistic possibility. Shankland is out of contract in the summer and will then be able to move on a free. While Ayr will be desperate to hold on to him for as long as possible, the prospect of playing in front of Championship attendances each week will be an enticing prospect for the player. Ayr might well be faced with having to reluctantly accept any offers that come their way when the market opens. 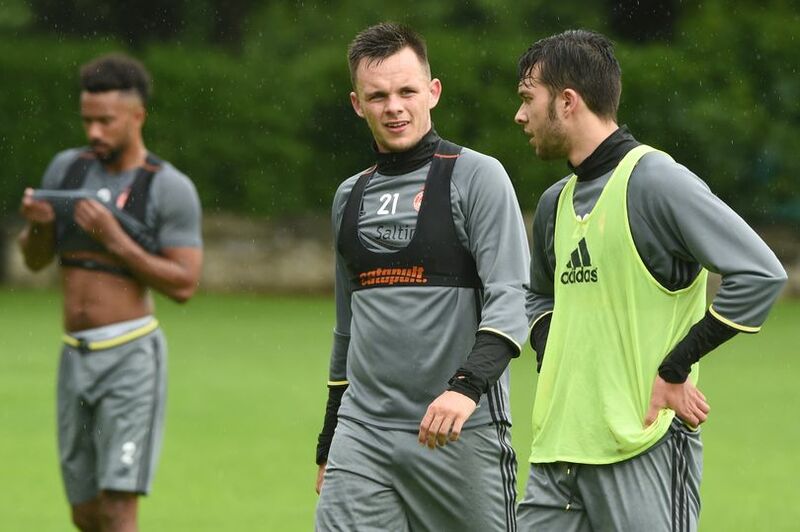 Given his contract situation, it also means that Shankland will be available for a relative bargain however, with Swansea reportedly able to prize him away for just £200k. The Swans may face competition from other clubs for his signature, but even if they have to spend a little more than a few hundred thousand it will be a thoroughly worthwhile investment should Potter’s men find themselves amongst the play-off picture come the end of this season.